Tara Smith joins the TWiEBOVsters to discuss the Ebola virus outbreak in west Africa, spread of the disease to and within the US, transmission of the virus, and much more. 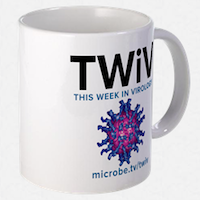 This episode of TWiV is brought to you by the Department of Microbiology at Icahn School of Medicine at Mount Sinai. I couldn’t understand Tara Smith so well. why do people write letters and emails instead of discussing here directly ? can someone please summarize the content of the article pubblished in the NYpost (well “article” is a wrong word for anything published there)? Is it the classic “conspiration” article or what?